Jesus came to do the work of God. Jesus came as the Son of God. Jesus came to reveal God. 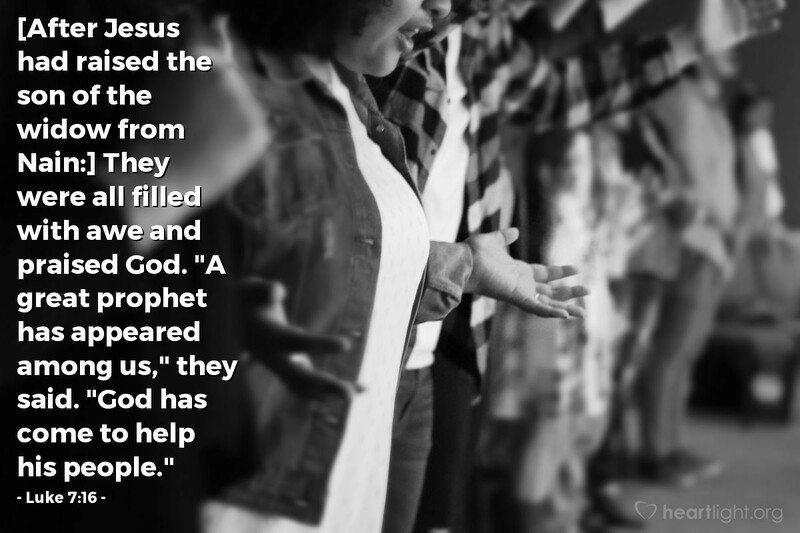 Jesus came and people praised God. Jesus came so people could see God. Do you know Jesus? If you do, do you know him as well as you should? O Gracious Father and Eternal God, thank you for revealing yourself, your love, your grace, and your salvation in Jesus. We thank you for visiting our world and making us your children. To you, O God, belongs all glory and praise in the name of Jesus Christ. Amen.